Jennifer Croes, Rainforest Rescue’s Conservation Scientist, said ‘Rainforest Rescue has developed a campaign to bridge the conservation gap, working with all our partners but most importantly, the Girringun Aboriginal Corporation, to incorporate Traditional Owners and Indigenous knowledge and values to long-term conservation solutions. Cassowaries play not only a vital role in rainforest biodiversity, but also a significant cultural role in Indigenous traditions. We are pleased to officially announce that Rainforest Rescue has entered a collaborative partnership with Queensland Government and the Girringun Aboriginal Corporation to manage the Cassowary Rehabilitation Centre at Garners Beach located in Mission Beach, Far North Queensland to care for injured, sick cassowaries and/or orphaned chicks to be released back in the wild where possible’. 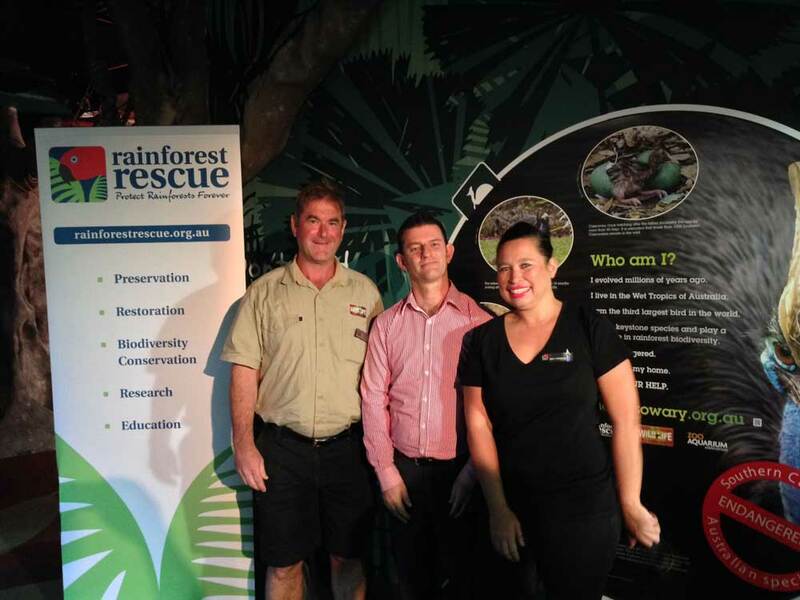 Rainforest Rescue is an active member of the Cassowary Recovery Team.